Inclusion body Myositis (IBM) is the most frequent myositis in patients over 50 years old. Conventional immunosuppressive drugs are today ineffective or even aggravate muscle deficits. Rapamycin is a mTOR inhibitor used in organ transplantation. Potentially, rapamycin can deplete T effector cells, preserve T regulatory cells and induce autophagy (protein degradation), all parameters impaired during IBM. RAPAMI is a prospective, randomized, controlled, double blind, monocentric, phase IIb trial evaluating the efficacy of rapamycin against placebo (NCT02481453). The primary endpoint was stabilization of maximal voluntary quadriceps isometric strength assessed with a dynamometer (Biodex System3 pro). Secondary endpoints included safety, other muscle groups strength, distance walked in 6 minutes (6MWD), pulmonary functional tests, functional scales, and muscle quality assessed by quantitative nuclear resonance magnetic exams (NRM). Forty-four patients were treated by oral rapamycin (2 mg/d, n=22) or placebo (n=22) during 12 months (M12). Twelve months after the initiation of the treatment, the quadriceps strength decreased significantly and similarly in both groups (mean relative change: -11.07% vs. -12.36 %). Nevertheless, in comparison to the placebo group, 6MWD was unchanged (mean change: -4.1 m vs. -38.5 m, p=0.035), IBM weakness composite index was less degraded (11.91% vs. 24.26%, p=0.038) and forced vital capacity significantly improved (mean relative change: +12.3% vs. 1.6%, p=0.016). Additionally, NRM showed significant less fat muscle replacement (difference between M12 and baseline in %) in quadriceps (1.7 vs. 4.4, p=0.025) or hamstrings (0.9 vs. 7.3, p=0.027). Finally in NRM, the loss between M12 and baseline of contractile cross-sectional area (mm²) was less pronounced in quadriceps (-3.7 vs. -10.7, p=0.005). Conclusion: Even if the primary endpoint was not reached, these first results showed coherent data in favor of rapamycin. Notably for the first time in a RCT, an improvement of the 6MWD is observed during IBM. Disclosure: O. Benveniste, None; J. Y. Hogrel, None; M. Annoussamy, None; D. Bachasson, None; A. Rigolet, None; L. Servais, None; J. E. Salem, None; B. Hervier, None; O. Landon Cardinal, None; K. Mariampillai, None; J. S. hulot, None; P. Carlier, None; Y. Allenbach, None. Benveniste O, Hogrel JY, Annoussamy M, Bachasson D, Rigolet A, Servais L, Salem JE, Hervier B, Landon Cardinal O, Mariampillai K, hulot JS, Carlier P, Allenbach Y. Rapamycin Vs. Placebo for the Treatment of Inclusion Body Myositis: Improvement of the 6 Min Walking Distance, a Functional Scale, the FVC and Muscle Quantitative MRI [abstract]. Arthritis Rheumatol. 2017; 69 (suppl 10). 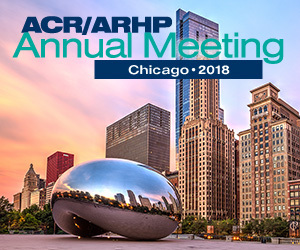 https://acrabstracts.org/abstract/rapamycin-vs-placebo-for-the-treatment-of-inclusion-body-myositis-improvement-of-the-6-min-walking-distance-a-functional-scale-the-fvc-and-muscle-quantitative-mri/. Accessed April 20, 2019.